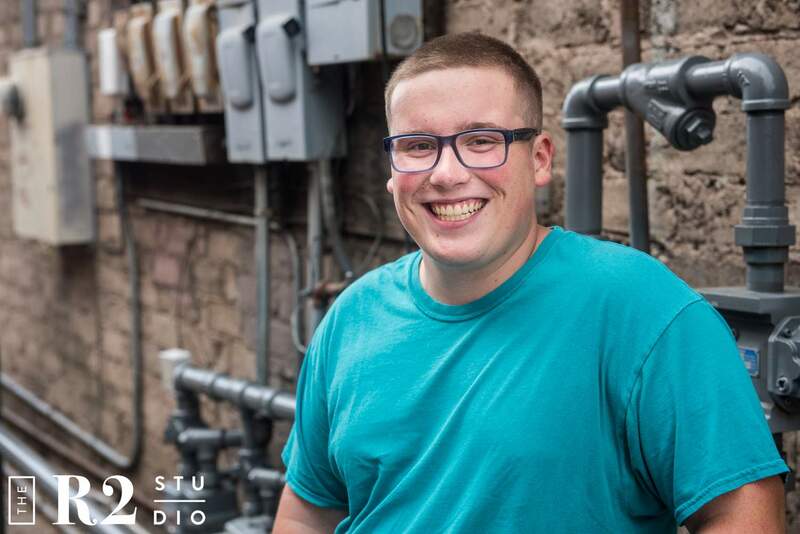 Meet another one of our R2 Studio Seniors, Ethan! He’s your typical high schooler with some pretty awesome hobbies. 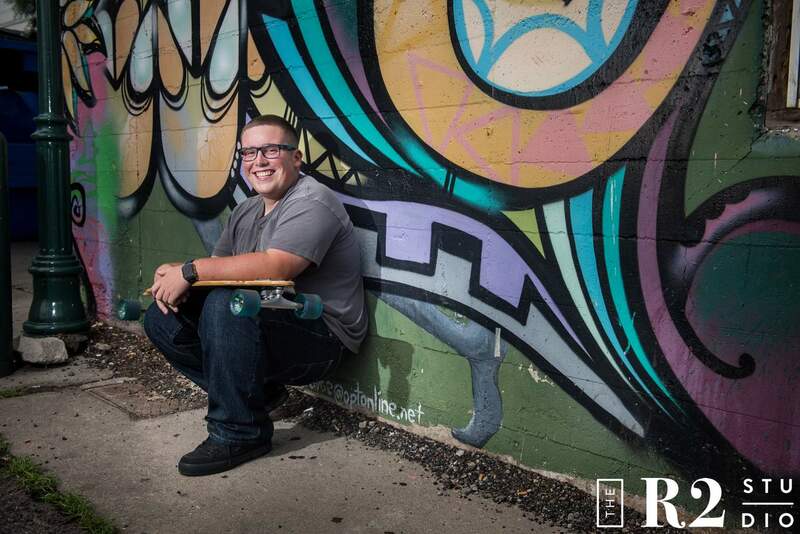 When school starts, it’s time to start thinking of senior portraits. We know it’s a stressful thing, but R2 is here to make the experience fun! 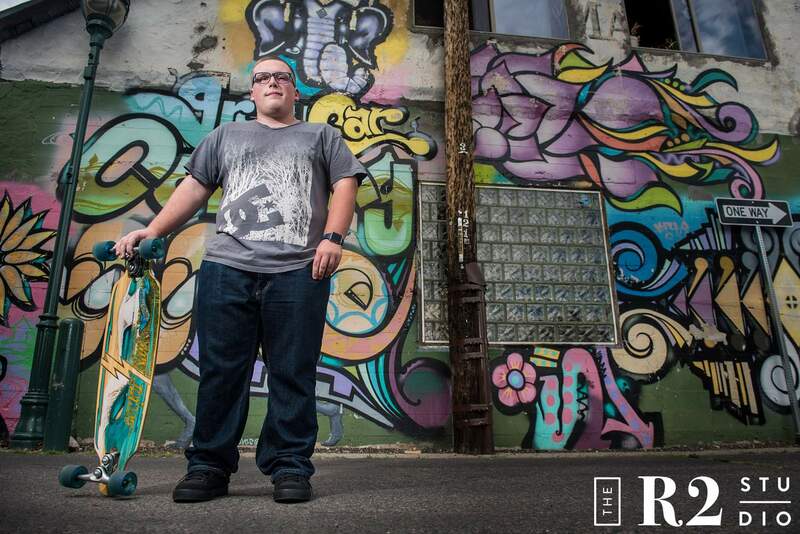 Welcome to Ethan’s senior portrait experience with R2! While we treat every single one of our clients as family, this guy actually is related to R2! We’re pretty sure being cool is in our blood. 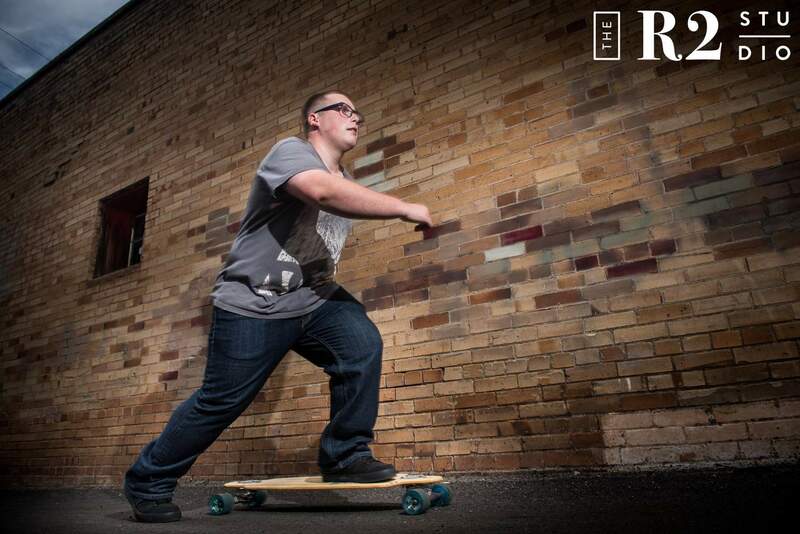 For Ethan’s senior portrait experience, we wanted to completely immerse him in the worlds of his interests. Don’t worry, we do this for every single one of our seniors. Your portraits should be true to you and we want to make you stand out from the standard senior portraits you’ve seen over and over again. 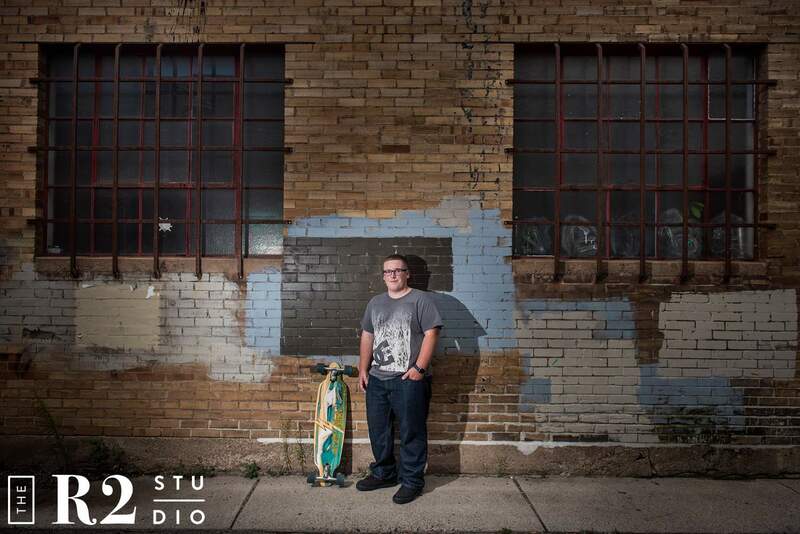 Skating is something Ethan loves, so we got some amazing shots of him right outside our studio in the streets of downtown Flagstaff with his board. 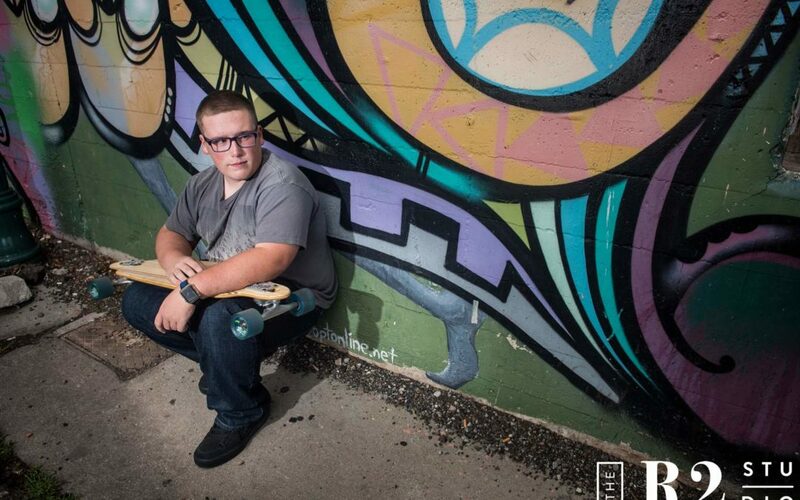 The architecture and unique murals gave his senior portraits a very urban vibe. Our studio is right in the perfect spot! 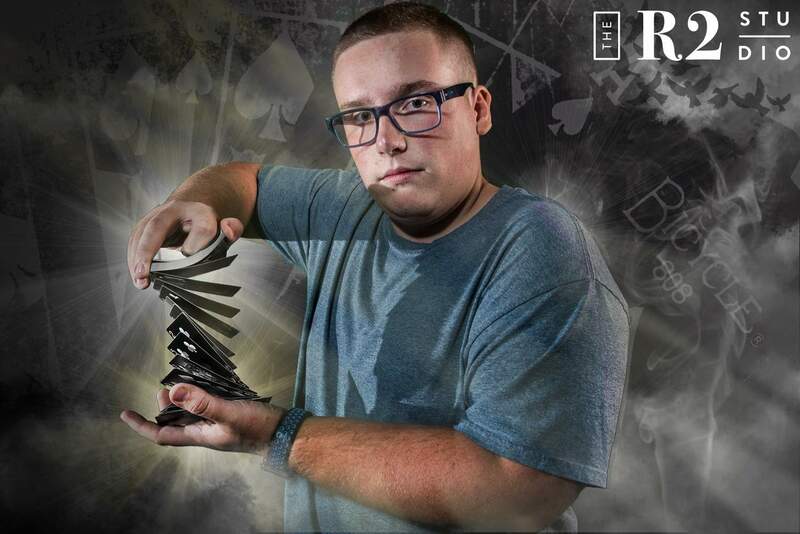 Furthermore, Ethan is also a fan of magic and video games. Of course, Robin worked her own magic and made some creative imagery to place him in. Who wouldn’t want to be placed right into their favorite video game? 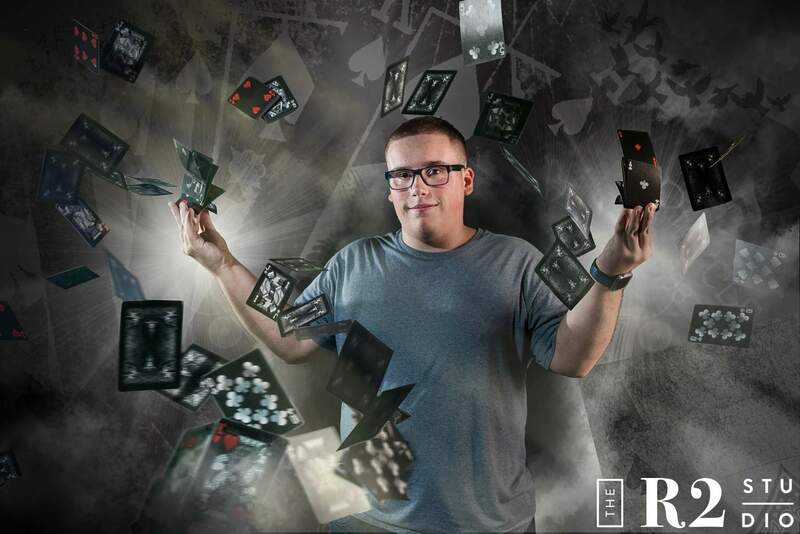 We absolutely love creating this type of artwork for our R2 Studio Seniors. It adds a touch of personality to their portraits. 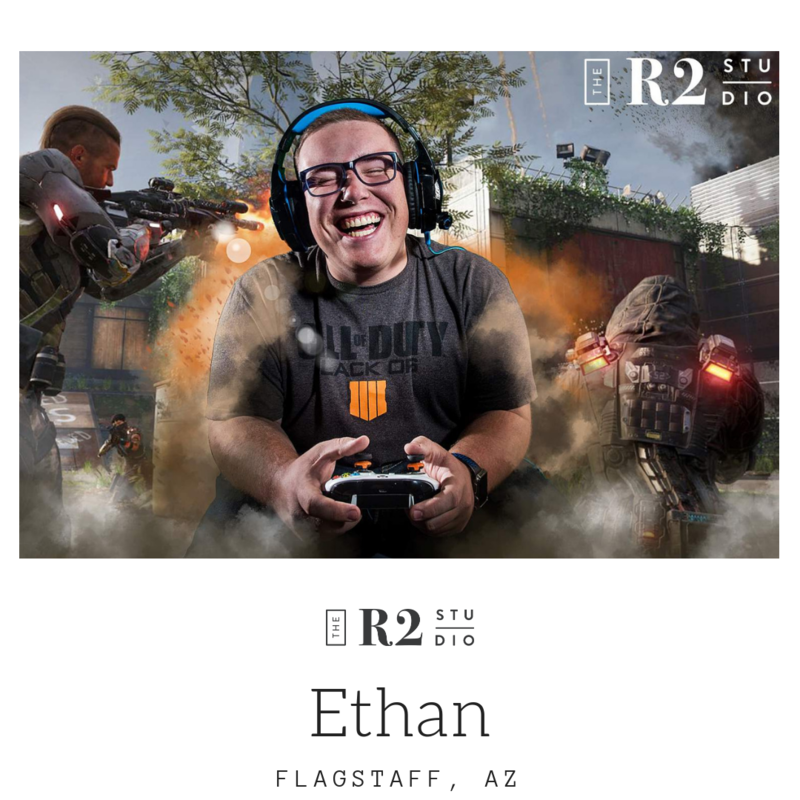 We promise that no one else has portraits quite like Ethan’s. 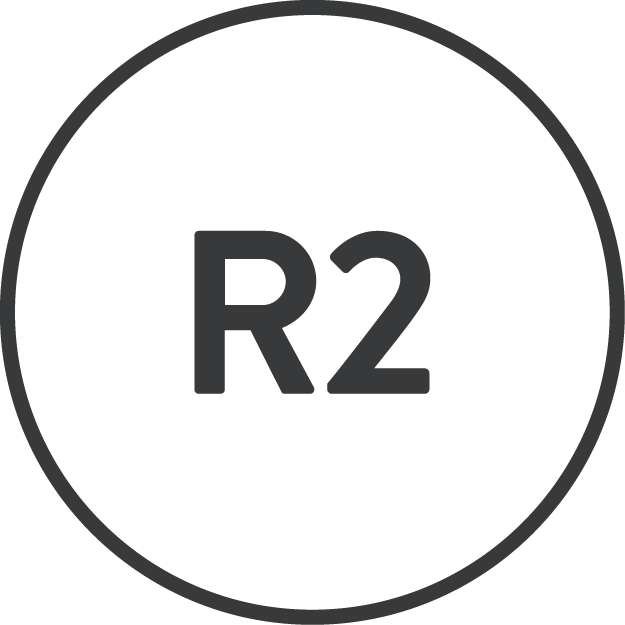 The R2 Studio specializes in custom and creative imagery that your family can cherish for years to come. Senior year is very transformative and emotional for the entire family. We believe that every photo should be true to who you are. We’re in the prime time for senior portraits! 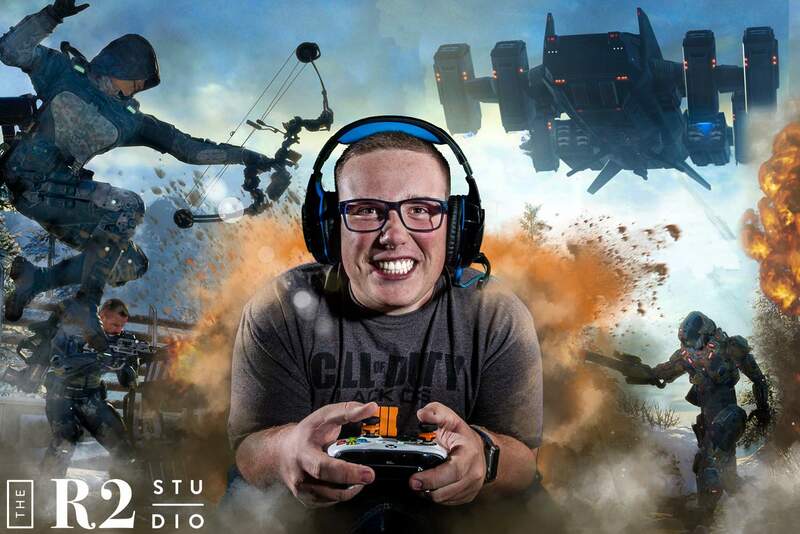 Call us today become one of our R2 Studio Seniors! *If you have enjoyed our blog post(s) and have interest in booking R2 for your Flagstaff family photo session, newborn session, Flagstaff high school senior portraits, or latest commercial photography needs, schedule an appointment now!. We would love to hear from you! We are Flagstaff photographers who specialize in capturing your family's story!